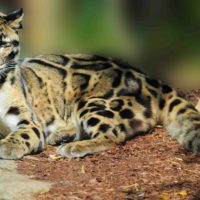 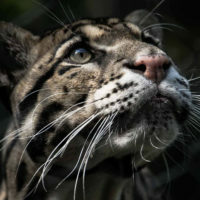 Clouded Leopard (Neofelis nebulosa) are listed by the IUCN as animals that are Vulnerable to extinction from their natural habitats in the near future. 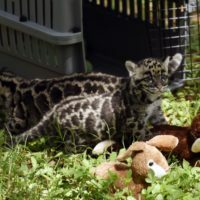 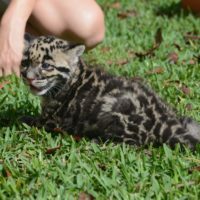 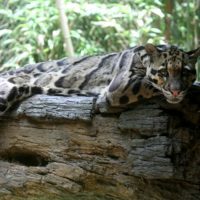 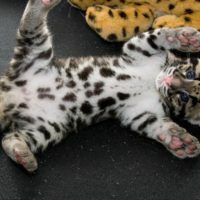 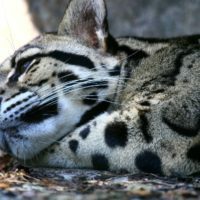 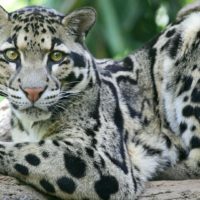 It is estimated that there are fewer than 10,000 mature Clouded Leopard individuals left in the wild, with the highest densities thought to be found on the tropical island of Borneo. 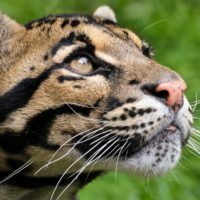 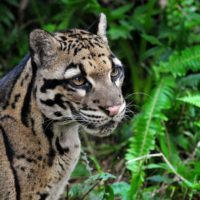 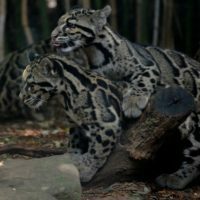 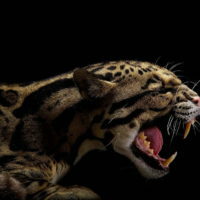 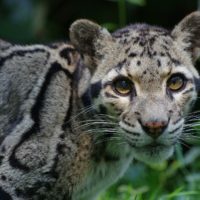 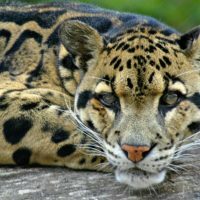 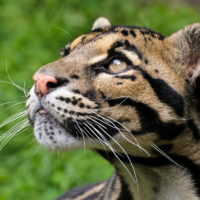 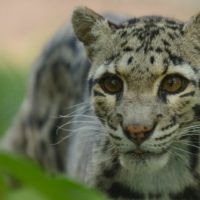 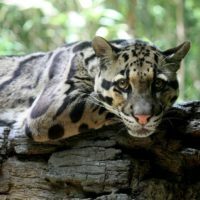 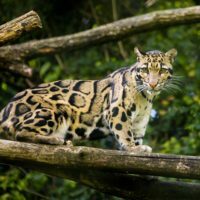 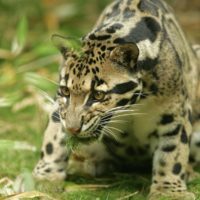 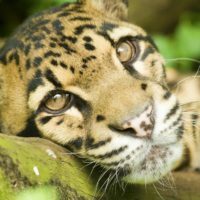 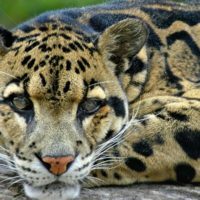 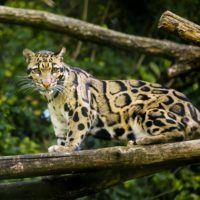 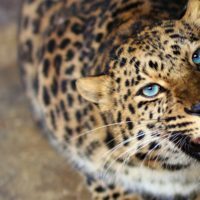 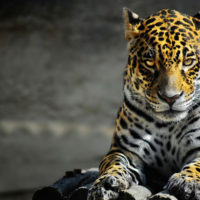 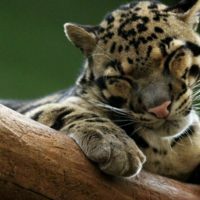 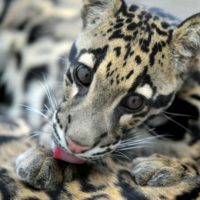 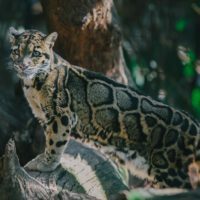 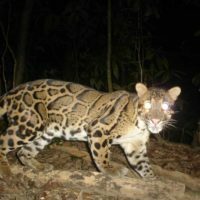 Despite being banned, the hunting and trading of their body parts still continues today but the biggest threat to the world’s Clouded Leopard populations is their rapidly dwindling range. 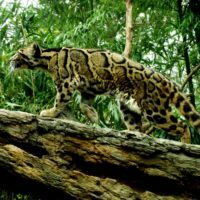 Vast areas of ancient forests are being cleared every day for logging or to make way for palm oil plantations. 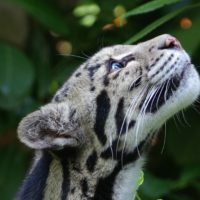 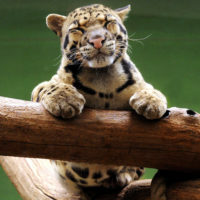 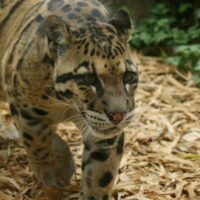 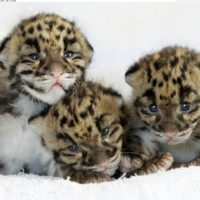 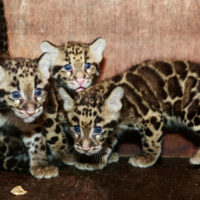 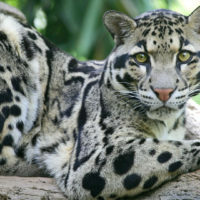 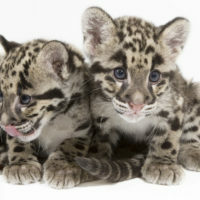 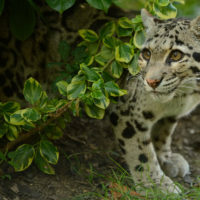 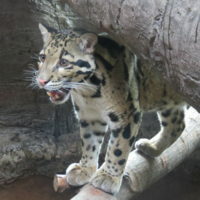 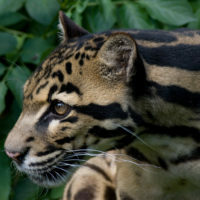 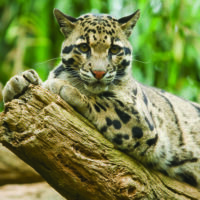 The clouded leopard is named after the distinctive ‘clouds’ on its coat – ellipses partially edged in black, with the insides a darker colour than the background colour of the pelt. 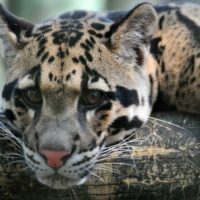 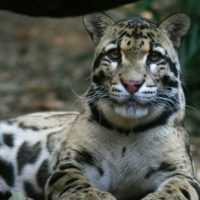 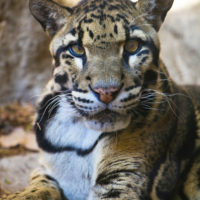 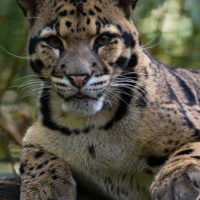 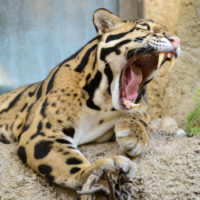 Throughout its range, the clouded leopard spends most of the time in the tropical evergreen rainforests but can also be found in dry tropical forests and mangrove swamps. 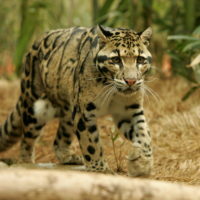 It has been found at relatively high altitudes in the Himalayas. 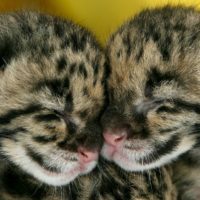 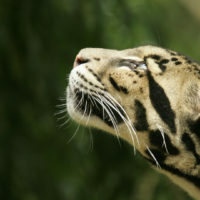 Clouded leopards live in forests at elevations of up to 8,000 feet and spend much of their lives in trees. 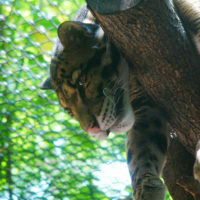 Their bodies are well adapted to this arboreal lifestyle. 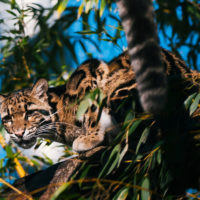 While their strong tails help them to balance while perched on tree branches, their specially adapted ankle bones and large paws allow them to both climb while hanging upside down under branches and climb down trees head first! 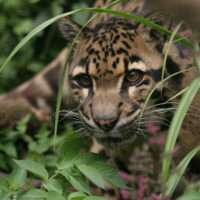 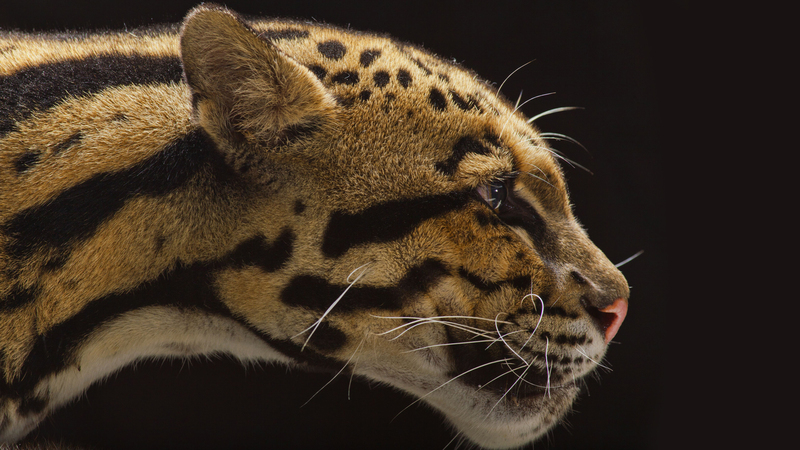 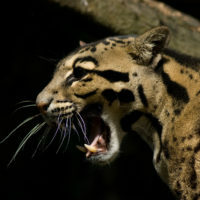 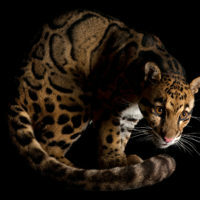 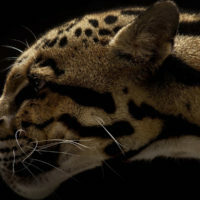 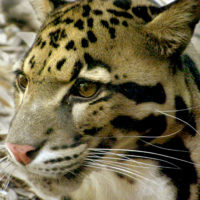 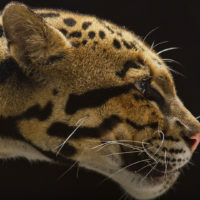 When a clouded leopard spots its prey on the forest floor, it leaps down on it from above. 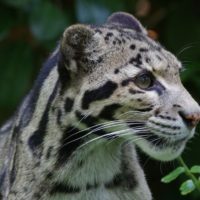 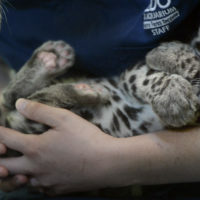 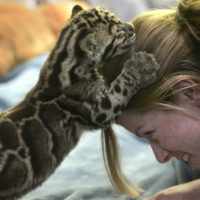 The social behavior of clouded leopards is virtually unknown. 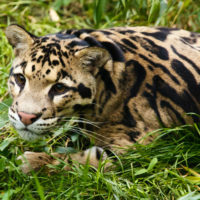 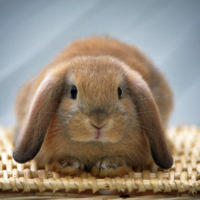 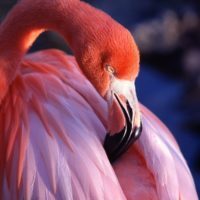 They are, however, thought to be solitary animals. 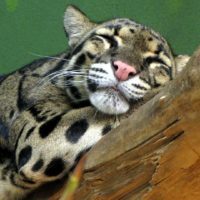 And though they are mostly nocturnal, evidence has shown them to be active during some periods of the day.